Previous Ryzen mobility solutions were not that great compared to the desktop counterparts, and it looks like the upcoming Ryzen 3000 Picasso mobility chips are still a bit slow compared to Intel's processors. The leaked Geekbench results show that AMD's Ryzen 3000 mobility CPUs are almost on par with Intel's similar chips from 2-3 years ago. 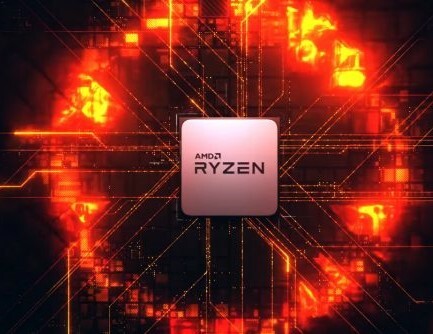 The 7 nm Ryzen 3000-series CPUs will certainly put AMD ahead of its competitors as far as the race for miniaturization goes, but will it provide a decent performance boost as well? From what we know so far, it looks like the desktop CPUs will be quite fast, whereas the mobility solutions are still shrouded in mystery. Reliable leaker Tum Apisak's latest findings try to cast some light on what we should expect from the Ryzen 3000 laptop chips with a few benchmarks and the naming scheme for the whole mobility series, however, the numbers are not looking that well. These chips have been associated with the Raven Ridge architecture, so they could be a refresh. Also, all these chips were part of 14-inch and 17-inch HP laptops tested on December 12 and 13. The Ryzen 3 3220U managed to score 2187 – 3588 points in single-core tests, and 4524 – 6924 points in multi-core tests. As for the Ryzen 3 3300U CPU, it managed to score 3654 and 9686 points, respectively, while the Ryzen 5 3500U scored 3776 – 3870 and 9787 – 11284 points, respectively. Now, compared to a Core i7-7500U CPU that scores 4286 points in single-core tests and 8235 points in multi-core tests, the Ryzen 3 mobile chips seem a bit too slow for 2019. Likewise, the Ryzen 5 chips seems to be behind a 3-year old quad-core i7-6700HQ that manages to score 4065 and 12299 points, respectively. Since these are preliminary results and we do not have the actual TDPs, jumping to conclusions this early is pointless. The Ryzen chips do come with better iGPUs, however, so gaming benchmarks might actually look better.